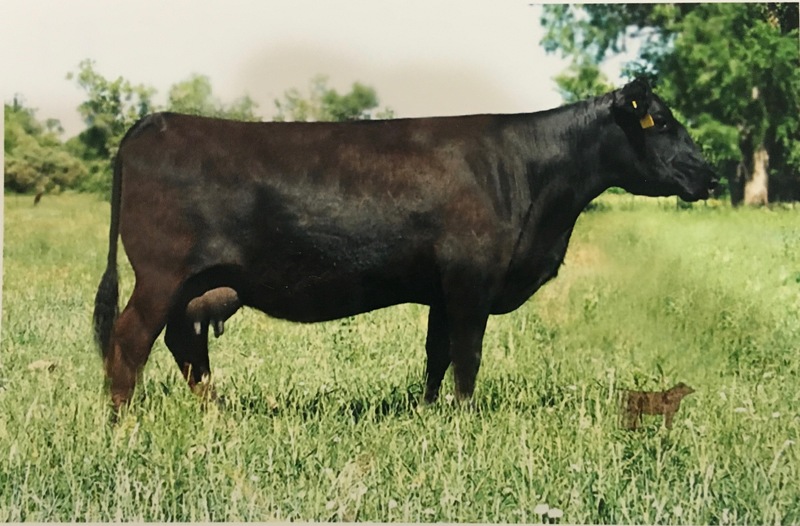 “510” is a home raised bull sired by the legendary maternal sire AAR NEW TREND and out of our foundation F0203 daughter HRA LASSIE “34”. We used him as a cleanup bull after A.I. on our first calf heifers. He sired moderate birth weights and his calves ratioed 101 at weaning. His sons are masculine and display good length, depth and thickness. 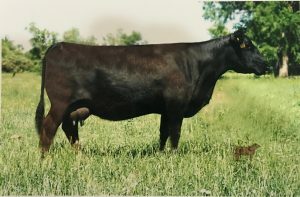 His daughters have the “brood cow” look to them and favor the “34” cow phenotypically. We will get a bigger batch of his calves this spring as we turned him out with 25 cows. “510” is co-owned with Keith Medalen at Towner, ND.